This week we are very lucky to have the prolific documentary producer Erikka Yancy on the program. 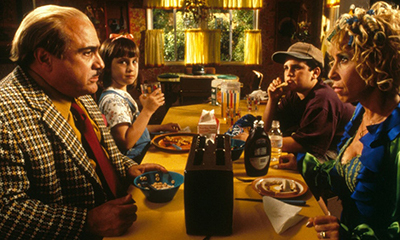 The movie she chose to discuss is the beloved 1996 film Matilda. Erikka discusses her documentary career and what is like having to do research for films with such dark subject matter. She goes on to talk about having to go through footage from 9/11 and Hurricane Katrina, and how it's still important to offer some hope in even the most depressing of films. She also elaborates on her love for the movie Matilda and how it is rooted in the fact that the parents are so mean to the main character. April and her cover the directing career of Danny Devito and the history behind his production company Jersey Films. Plus, Erikka talks about the character of Lavender, and how having the representation of a black character is so vital to her enjoyment of the film. If you love this movie, you will love this conversation. You can watch Erikka's film Homegrown: The Counter-Terror Dilemma on HBO.